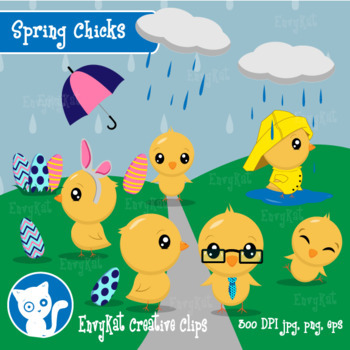 Have fun with these cute spring chicks! Use them for school projects, worksheets, and more! 12 PNG images 8" x 8"
12 JPG images 8" x 8"
These Graphics are my original designs. You may not share, resell or redistribute products.